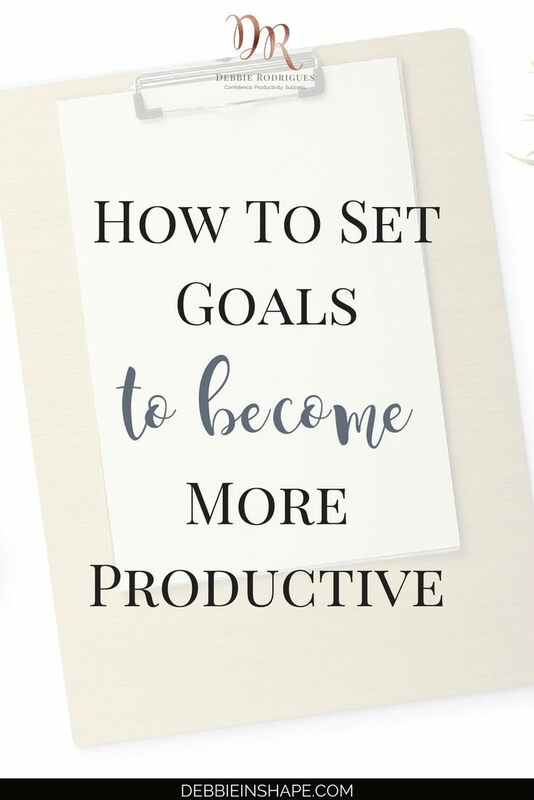 To become more productive, you need to set goals for yourself. Learn why you need them and how to get started in 4 steps. How many times have you heard that it’s important to set goals to be successful? I’m one of those who frequently brings up the subject here, in the social media, or in my conversations with my clients and friends. 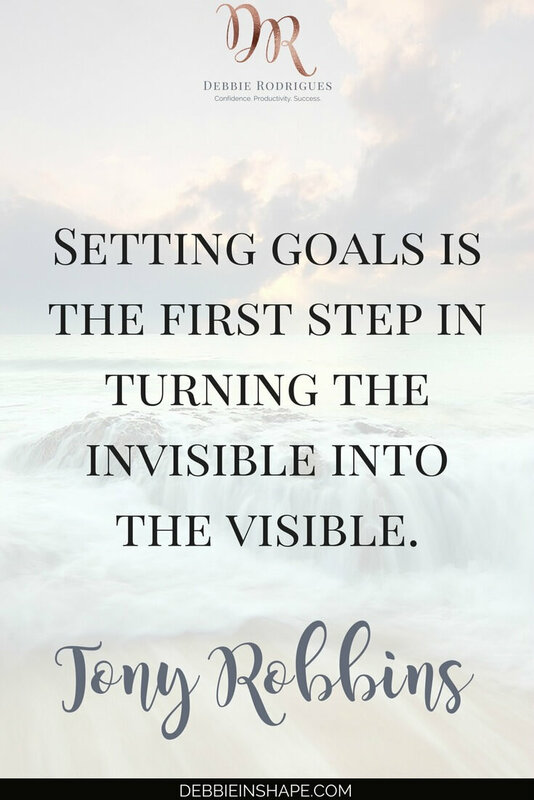 Setting goals is vital to achieving anything in life. Also to become more productive. 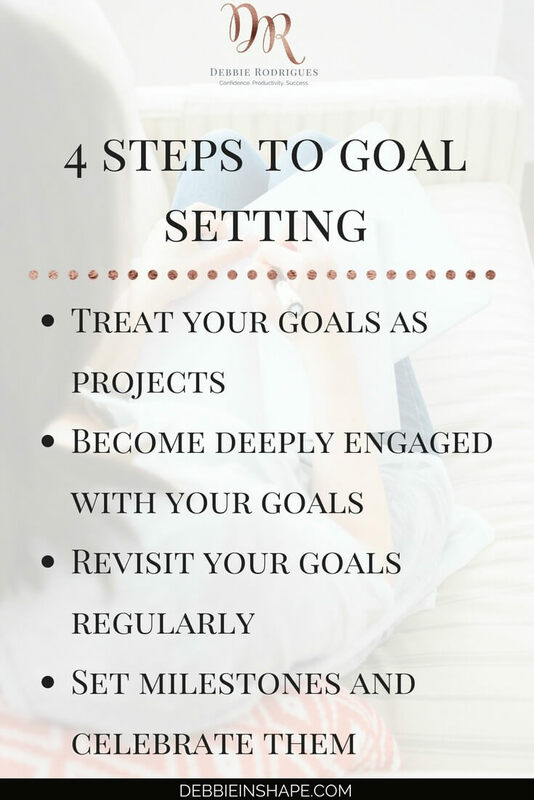 But there’s one detail that is sometimes overlooked: how can you set goals for yourself? Imagine I told you I have a dream of becoming an Olympic athlete. It sounds valid, doesn’t it? I could set a timeline, create a plan to learn new skills, etc. But is it a realistic goal? Well, I don’t think that being over 40 prevents me from starting new things, but reaching the level of an Olympic athlete is something else. It’s much more realistic wanting to improve my CrossFit skills to participate in Masters events, don’t you think? Even though I still have a long journey ahead of me, it’s doable. I know you can say I’m using (again) an extreme example, but have you ever realized how many times you put yourself into similar situations? How many times have you felt stressed, frustrated and disappointed because of goals you set for yourself, but realized later they weren’t achievable? But because they were your goals, you invested time, energy, and money in them. In some occasions, you even spent more than you should just to realize they weren’t your cup of tea. What can you do to prevent it from happening? You need to have a reason to start building new habits in your life. How much does it motivate you? What are you willing to do to achieve it? How does it impact your lifestyle? When I put together my 50-things-before-50 list, I also went through the same exercise. Creating a fancy list just to impress others was not part of my plan. It had to be challenging, achievable, but also realistic. That’s why you won’t find a trip to the moon there. A little dose of daring doesn’t hurt. Plain goals aren’t enough to force you out of your comfort zone. But too much of a good thing is still too much. Not only I don’t want you to lose your sanity because of a crazy objective, creating unnecessary stress isn’t part of the deal either. They are the starting point, the flame that ignites the process of change. If your objective is to become more productive, you need to be mindful of the way you’ll proceed. Instead of just acting on an impulse, treat your productivity goal as a project. In fact, it’s going to be your life project for the next months or years. This simple change of approach will already put you on a productive path. If you want to become more productive, you have to approach your goals as projects. While a goal isn’t a person, your relationship with it should be pretty much like a marriage. Don’t be naive: there will be ups and downs, and that’s normal. And exactly because things won’t be perfect you must be committed to your goal to make it happen. Become excited with the possibility of becoming more productive. Measurement is a standard step of projects. You set goals, defined the implementation plan, and started to do the work. On a weekly or biweekly basis, you need to reassess the steps taken and evaluate the results. Your goal isn’t something to keep you busy. On the contrary, you want to improve and become more productive. To be sure you’re making the right decisions and taking the best steps to achieve it, you must revisit your goal on a regular basis. Time used to measure the progress of your productivity goal is an investment. In the beginning, I suggested you set goals to become more productive and to see them as projects. However, it doesn’t mean it’s all business. Even professional achievements deserve a celebration, why wouldn’t it be the same for your dreams? But before commemorating anything, you must accomplish it. They’re indicators of your progress within a specified period. If you want to run a marathon, you must first start running, run 5Ks, 10Ks, and half-marathons. Each race is a milestone. 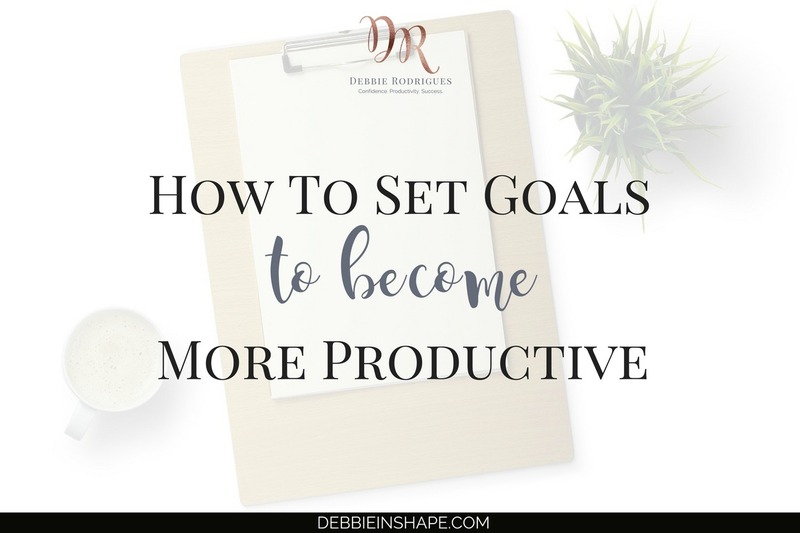 When you set goals for yourself, also determine intermediate milestones that will help you measure your progress. To become more productive, you need to be able to do a certain amount of work within a given time. Define clear milestones and do the necessary to achieve them. Having goals and working towards them is part of life. We all want something more for ourselves and our beloved ones. Whatever your productivity goals are, there’s no need to be afraid of the extra work and time you’ll have to put into them. If you set goals mindfully, they’ll promote your personal growth and help you become more productive. It’s possible, and you can do it, stress-free! Can you answer the following question in the comments below, please? What’s your current main goal?